Synopsis: Lily hasn’t always had it easy, but that’s never stopped her from working hard for the life she wants. She’s come a long way from the small town in Maine where she grew up. She graduated from college, moved to Boston, and started her own business. So when she feels a spark with a gorgeous neurosurgeon named Ryle Kincaid everything in Lily’s life suddenly seems almost too good to be true. Review: Naked truth: This is my favourite Colleen Hoover novel…ever. 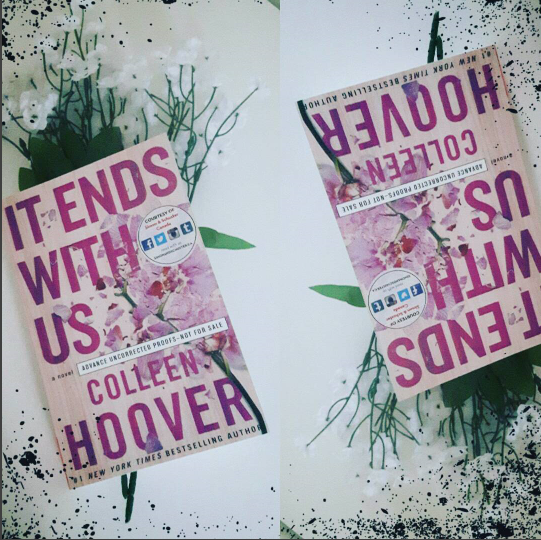 Simon and Schuster saw how much I adore Colleen Hoover books and kindly sent out an ARC of It Ends With Us back in April. I was so excited when it arrived that I consumed it in less than 24 hours. I could not put this book down and I thought about the book so much afterwards. Little aspects kept creeping into my mind in my everyday life and some scenes somehow infiltrated my dreams. I don’t think I’ve had a book effect me in that way before. Biggest book hangover ever. Of all the characters that CoHo writes Lily is the most real and the most vulnerable. The things that she goes through and how she responds to actions is so powerful. She has so much strength and I think everyone who is going through similar situations needs to read this. Ryle was the “main” male character that I wanted to love so much and I did fall in love with him but I didn’t want to so badly. After it being months of reading this I still can’t form a coherent review on the book. It is so heartbreaking and so beautiful. There is a lot of going back and forth through the past and present which I think was done perfectly. As I was reading this I thought this was a wonderful romance novel and it had me gushing then reality hits. You really experience the changes as Lily goes through the changes. The way it’s written really puts you into her shoes. When things happen to her it feels like its happening to you. My jaw literally dropped when I noticed the tone change in the book and I had to keep on reading. It puts so many things in perspective. Not everything is black and white… there’s a whole lot of grey. The subject matter in this book is not for the faint of heart but I am happy that it was put in this novel to shed some light on the matter. It sends a powerful message whether you’re in a similar situation or not you can break the cycle. I hope a lot of women (and men) read this. Read the Author’s Note at the end. It’ll make your heartache a little bit more. 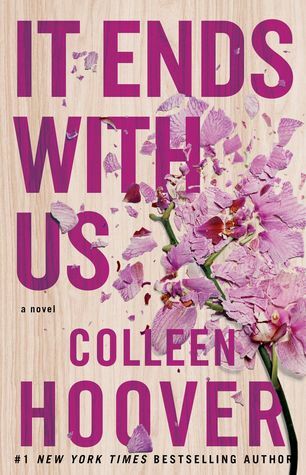 This entry was posted in ARC, book review, colleen hoover, it ends with us. Bookmark the permalink.